Pallet flow racking is a method of storing items with the use of rollers and wheels to carry and store pallets. Because of its depth ranging from 2 to over 20 pallets deep, higher storage density is provided that any other racking type. Forklift travel is decreased as pallets move from the load end to the unload end on their own. Set of full width rollers and wheel tracks set on a slight slope downward from the load to unload end are contained in a flow rack system. This allows the operator to put the pallet in the first position, then, rolls forward to the other end. Lanes are installed with speed controllers to guarantee that pallet moves in a secure way to the unload end. Unless the lane becomes full, operators may continue to add pallets into the lane. Pallet flow racking is particularly suited for bulk products which are normally present in manufacturing industries wherein many pallets of the same item are created. Flow rack usage enters in to cater orders for shipment. Others also use flow rack in picking systems to stock pallet loads of products for large volume case pick-ups. These systems involve the flow of product along rollers from the loading side of the rack to the unloading side of the rack. Gravity aids in gently moving the product along the rack so that it can be picked on a first in – first out basis. This is ideal for ensuring regular stock rotation. This form of racking is especially useful for high throughput product with a low number of SKUs. It allows for both a higher density of storage and a medium specificity of product. Gravity flow systems can be constructed to meet the exact needs of a warehouse. Flow shelves ranging from a few products up to 20 products are achievable. Similarly, shelving levels from 1 to 8 metres high are possible depending on the stocking and picking equipment used. Modern roller systems come in a variety of sizes and weight ratings and are generally safe and inexpensive. Smaller systems can be self installed. Larger fit outs will require the use of an experienced installer. Talk to the PRQ team today on 07 38412233 or sales@prq.com.au for more information on gravity flow shelving and racking. Narrow aisle racking is the best for limited floor space; the racking solution that saves space through accessible and maximum storage capacity to every quick order-picking and every pallet. Narrow aisle pallet racking has many advantages and main one is the optimal use of space with quick order-picking. If you’re anxious about the forklift movements, narrow aisle is still a good choice. Modern forklifts are remodelled so they can move in smaller spaces making them suitable for narrow aisle racking. Remodelled trucks are now designed with swingmasts and forks that are articulated for aisles as narrow as 65” without the requirement for guidance systems. This opens the possibility of increasing return of investments (ROI) as space is at maximum storage potential. Narrow aisle racking is entirely selective. This means that every pallet needs to be accessed. Configurations of pallet racking can be done in different ways according to the needs and load requirements. Still, the main goal is to provide the best storage economics. Moreover, in this racking system lesser floor space is an advantage. Workers won’t be subjected to leaving pallet debris around enabling a healthy working environment. If you trade in tyres then you will appreciate that they need to be stored properly. Stacking them in piles or randomly placing them on shelves does not work! They either roll away or you spend half your day moving tyres around in attempting to pick a tyre at the bottom of the pile. Tyre racking is the answer! Tyre racking is a great alternative to stacking tyres on the floor as there is less risk of the tyres falling and injuring someone. Storing tyres vertically also reduces the manual handling required when picking up tyres, which provides added benefits for your employees. Another added benefit of using a tyre racking system over a traditional stacking system is the product can be labelled clearly, allowing you to efficiently organise the tyres that you store, saving yourself and your staff time and money. Contact PRQ today to discuss the best tyre racking solution for your business. 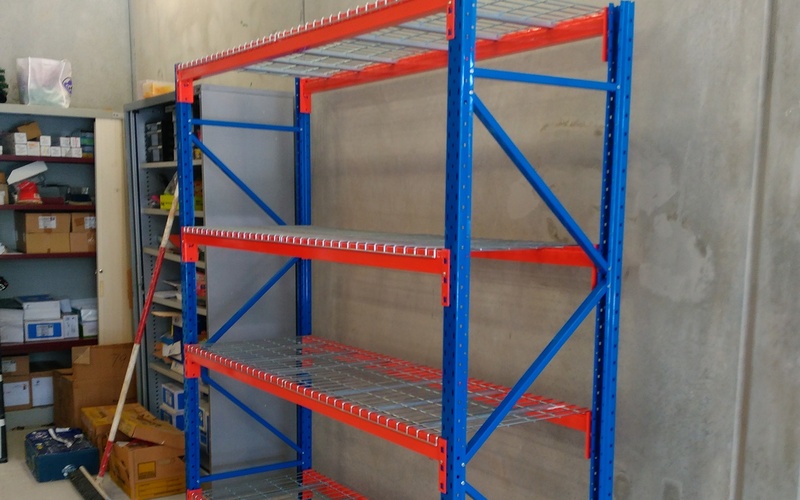 The shuttle racking system is the most suitable solution for businesses that have a high volume of pallets per item and thorough load and unload activity. This type of racking offers a compact storage system wherein shuttle is driven by an electric motor runs inside the storage channels. Productivity rate is increased due to the high flow of incoming and outgoing items. Diversification of items is better because each channel is accessible to store different items. Tablet controller has many advanced options with corresponding functions. The shuttle racking can be operated through a Wi-Fi enabled tablet. The racking system is generally for depositing load in the first available placement location in the channel. The purpose is to make the pallets compact as much as possible. Increase in storage capacity in terms of depth, low risk of accidents and less damage to the racks are few results of the having a no forklift trucks into the lane. The warehouse operation is also more flexible because of the modernised and improved operator’s activities. Satellite racking is also known as the shuttle racking. This racking has few similarities in nature to Drive-in racking. 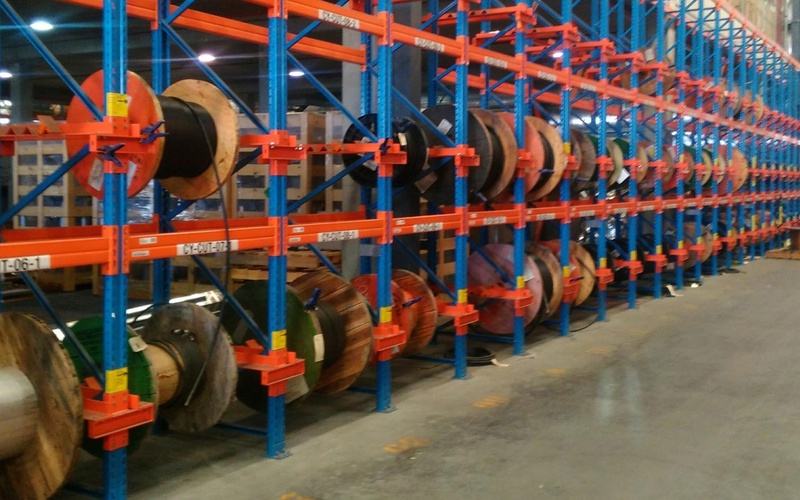 The main difference is that each level of satellite racking can be a separate SKU. Moreover, a shuttle cart is positioned to rails which are under the pallet rails. This allows travel into the rack and then lifts up the pallet to bringing back the front of the rack. 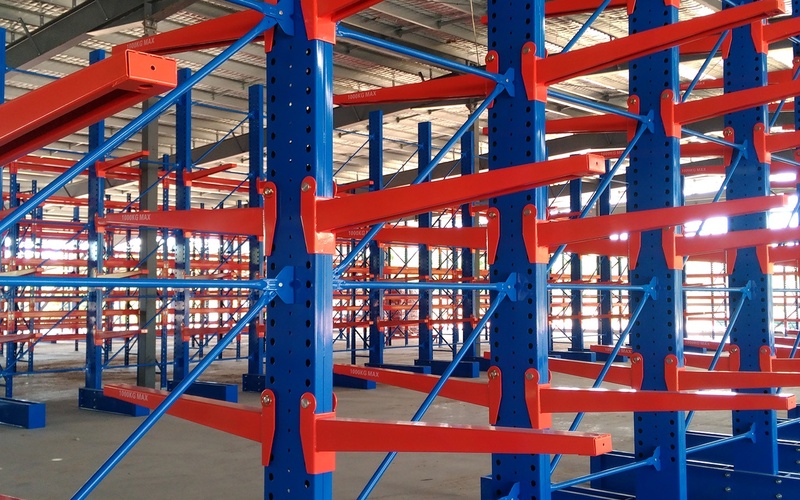 Quickly store and retrieve pallets in single, double and multiple deep racking structures. The automatic satellite vehicles are the perfect ideal warehouse management tool because these vehicles serve the rack systems independently. Moreover, they can be used in large numbers of compact storage with a high throughput. But the more diversity in the mixture of articles in channels (various unit loads in one aisle), the more single pick-ups, organisational operations and re-storing are required. Thus, this method must be performed by those who are in the warehouse control. Improving the implementation of retrieval orders can be achieved by moving single unit loads near the retrieval point early. Pigeon hole rack is a cost-effective and practical solution for improving stock picking duties while ensuring that stock visibility is still high. This racking system is perfect for achieving an organised picking area. The use of the pigeon hole racking systems helps in simplification of the supply chain management. It establishes a fast delivery of orders. This racking system is also suitable for storing wide variety of different items. If you’re stock profile is comprised of various items, pigeon hole rack is a flexible solution to ever-changing stock profile. They can also be the best substitute or a stable racking system for expensive shelf bins. The pigeon hole units are usually used by high street retailers because of the need for storage of large quantities of stock in their small stores. Combining slim posts and narrow beams can create an efficient storage solution which can also be incorporated into even the weirdest shaped stock rooms. Double Deep Racking is alike to selective racking; however pallets are stored in two rows deep instead of one. 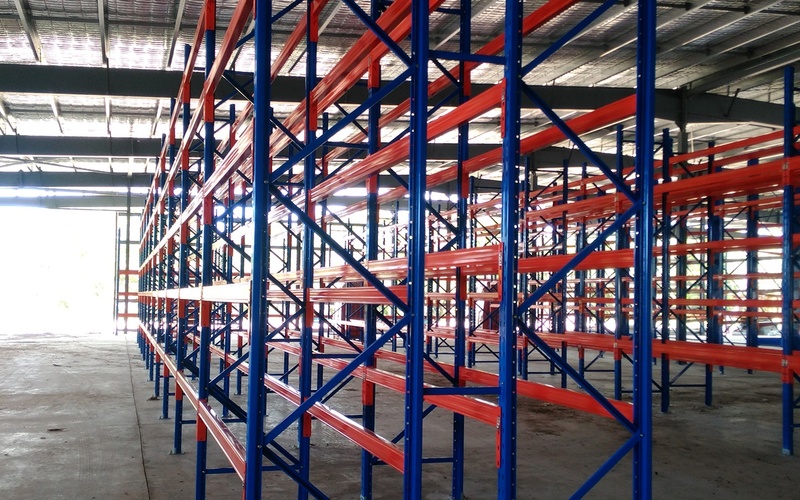 Specialised pallet handling equipment is a requisite in this type of racking. Double deep is ideal to products that have minimum of four or five pallets per SKU : IC, allowing rotation of two-deep lanes to provide practical location utilization. 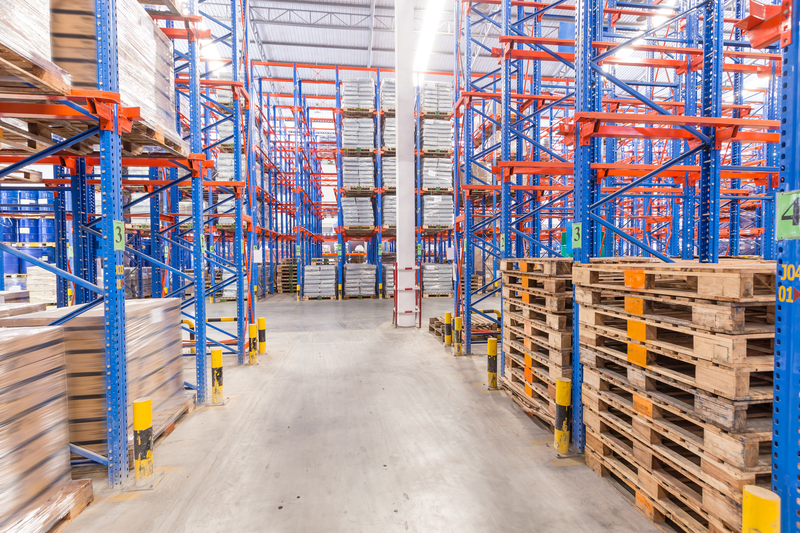 However, this type of racking can’t give instant access to each individual pallet; thus, it does not work for strict first-In-first-Out storage. To serve double deep racking, special reach trucks are required. This enables forks to extend far enough to reach the rear pallet. Telescopic forks or extending outward scissor mechanism can be used to achieve the best results. However, reach trucks require a counter balance for unloading and loading pallets, which can double capital investment requirements for your pallet handling equipment. Contact one of the friendly team members at PRQ to discuss different double racking alternatives to discover which is right for your business. Carpet racking (or vinyl racking) is an efficient method to store long rolls of carpet or any other flooring or rolled-up material. This design of racking allows for efficient use of space, is highly customisable, and adjustable if your products change over time. The alternative is storing carpet on pallets which is cumbersome, or building a ‘carpet pyramid’ which is potentially dangerous if the pyramid collapses. Using carpet racking is estimated to be 3 to 4 times more efficient than using alternative storage methods. Pallet racking frames of 1200mm are regularly used rather than the standard 840mm depth. The upright frames are then connected with spacer bars. Any depth of carpet roll can be catered for, from smaller fabric rolls at 1200mm in length up to extra-long rolls at 5 or 6 metres. Maximum frame height of approximately 4000mm is used as product handling above this height becomes a lot more challenging. The frame importantly provides the security from carpet rolls rolling off the rack. Pallet racking beams are specified based on the load requirement of your carpet. Beam levels are dictated only by the diameter of the carpet rolls and the number of rolls stored on each beam level. Particle board is used on each level to distribute weight evenly across the rack and not distort or damage the product. The width of the carpet rack bay can vary from 1372mm up to 4500mm depending on the customer’s requirements. Carpet racking is very flexible with the ability to adjust the height of shelves to meet the changing types of carpets stored. Additionally, various formats are available to cater for small diameter carpet rolls, rugs and fabric. Call the sales team at PRQ for a friendly discussion regarding the many options available in storing carpet.